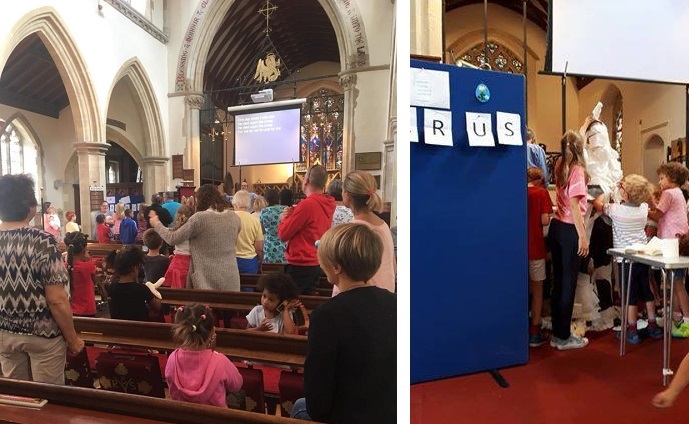 Messy Church takes place about once a month at St John's and weekly during August. 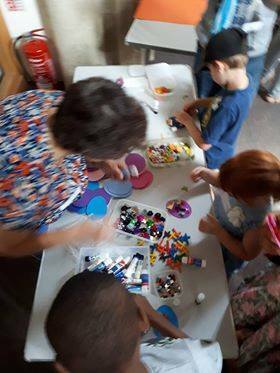 It is a lot of fun and has many similar elements to what used to happen in holiday club, such as craft, songs and games. However, it includes either a light lunch or tea (depending on the time of day) towards the end. 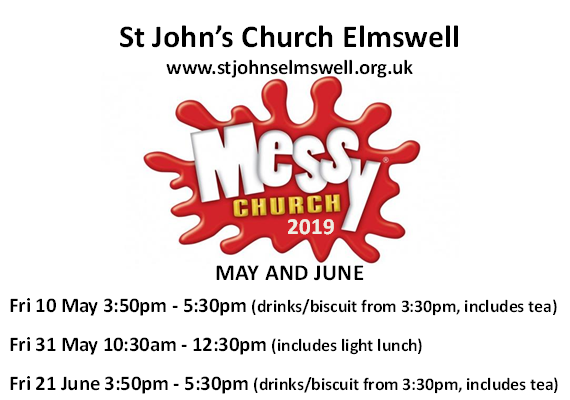 Please note that Messy Church is for all ages, not just children. 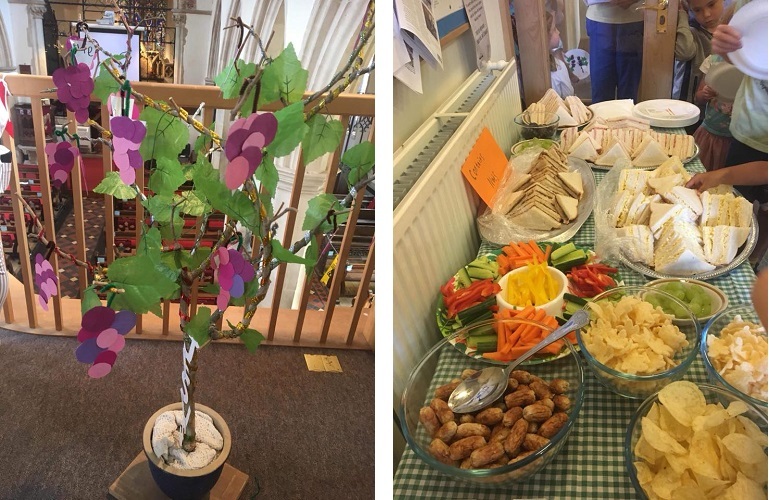 Adults can enjoy a chat over cup of tea or coffee and a slice of cake in the café whilst the craft activities take place. Or why not join in the mess with the rest of us. Please note children do need to be accompanied by an adult - children can not just be dropped off.